“Seth” made the transformation above in only 7 weeks. 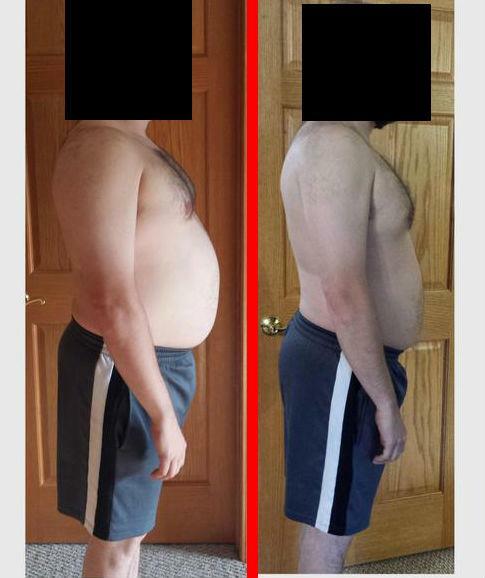 What’s special about me that allows me to help others get results like my client Ben here? Ben actually increased all of his lifts throughout his transformation. A major reason is that for most of my life I hated exercise. Yep, if you thought that I loved exercise because I’m one of the co-founders of Fitocracy and a prolific fitness coach, you would be wrong. Actually, I was obese growing up and had been for a majority of my life. I actually looked like the kid from Up, except much rounder and plumper. I topped 230 lbs at 5’7 (I’m now 5’10) at my peak. The funny thing is that both of my parents were Medical Doctors and had me “eat less and move more,” whatever that means. These days, I am now grateful for growing up as a fat kid. It’s the single most important thing that influenced me as a coach.It allowed me to find the “secret sauce” to a successful physical and mental transformation. Secondly, through my many clients and my own self-awareness, I figured out the psychological aspect. This is arguably more important and I’ll tell you about the details in a bit, but let’s fast forward for now. Four years after the picture above, I looked like this. Here’s the secret to why I can produce such amazing transformations with such high accuracy. Willpower is finite, motivation is fleeting, and good luck toughing it out on days when life massively gets in the way. Jeremiah lost 100 lbs working with me…and by doing the minimum that he needed to do. Making an amazing transformation isn’t about finding the perfect program. 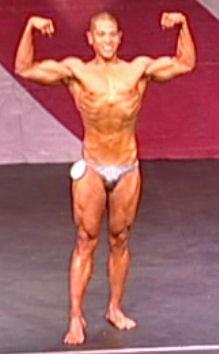 After all, what good is the perfect program if you hate exercise like I did? A successful transformation is about YOU and YOUR psychology, physiology, and your specific environment. How many times have you dieted perfectly, only to be tempted with a slice of pizza or cake. If everyone could say no to cake and pizza all the time, everyone would have a six pack. After you give in, one slice turns into another, until you’re left devouring the entire shebang. Here are more examples. How many times have you wrecked your diet eating out of boredom? Or because your spouse pressures you into eating something “unhealthy” and everything snowballs from there? These are the things that prevent you from having an amazing transformation, not lacking the perfect diet and training program. I will teach you how to tackle these things through manipulating your thought patterns and habits. In the end, you’ll finally make the transformation you deserve. If you veer off of your diet, most coaches yell at you and tell you something along the lines of “ stop being lazy” or “just toughen up.” Most people are actually afraid of telling their coach about their failures. While there is a time and a place for accountability, this technique rarely works for most people. Rather, I’ll teach you to dissect and manipulate your thought patterns and habits, then work with you to find a plan which you will then practice. (Remember, fitness is a skill.) The result is that you will learn how to squash things preventing you from getting fit, such as binge eating. I’ll teach you how to develop fitness as a skill. Most coaches also haven’t had the breadth of clients to understand difficult physiologies. Between looking at client data and data from Fitocracy’s 1.5-million members, I’ve gotten experience with many different types of trainees and have found patterns. For example, it’s much harder for women who are already overweight to lose weight. 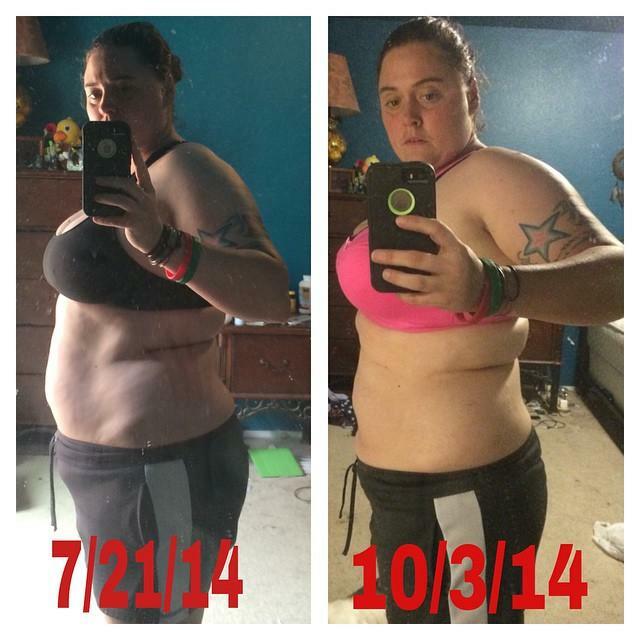 Many clients, like Kim above, didn’t lose weight until working with me. Because you get a world class coach who you have access to 24/7 (you’ll go directly to my phone and have priority with real time help) who can help you with ANY fat loss goals. Whether you want to lose weight for the first time or you want to compete in your first bodybuilding show, I will make sure that you succeed. The plan is extremely tailored. I might have some people starting off with light weights that they can do in their apartment gym. I might have some people squat every single day. I also have training groups that you can join, but this is an opportunity to work 1:1 with me PRIVATELY. To make sure you succeed, I learn everything about you, your life, and your physiology and psychology.